It's a billion degrees and the sun is shining 14 hrs a day; is everybody using adequate sun protection? Just checking. 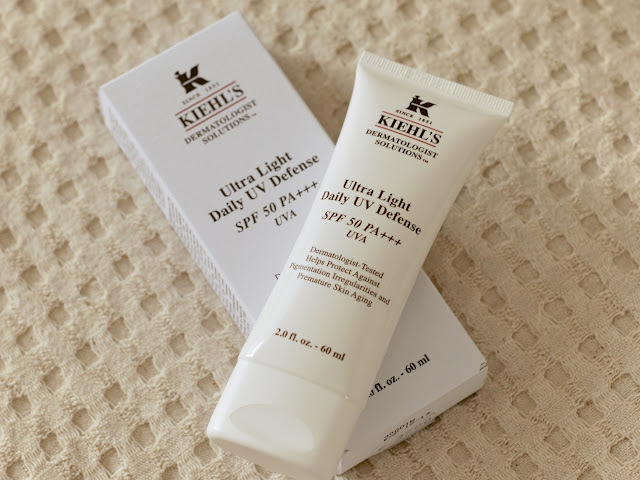 My favorite this year (and last) is Kiehl's Ultra Light Daily UV Defense SPF 50. Even though I only see about 20 minutes of sun on any given day, I never leave the house without slathering this stuff on my face and neck (especially my neck which can literally burn in 10 minutes if I'm not vigilant!). It feels lightweight, not too greasy and it never breaks me out. Oddly enough, I can't seem to find it on the Kiehl's website in the states, and I wonder if this is only available in europe. Wouldn't that be strange, for a nyc-based company? hmmm, good to know. is this it? maybe packaged differently in US? Celebrity Transformation : Renee Zellweger gained a lot of weight for both Bridget Jones movies, We all love to be at the top of our craft, and actors and actresses are no different. Top Ugliest Celebrities : By nature or personal choice, they are rich and famous and yet… ugly as hell! Worlds Top Paid Musicians : A list of the richest musicians in the world. The the richest singers and highest paid musicians are ranked in order of pay. I bought it at Saks in the US. I used it for a great year (I live in Greece, so it is definitely necessary) and recently lost it in my latest big packing/move. Well, in the UK anyway - I can't find the one you have pictured over here but the link above it for the moisturiser which sounds pretty much the same. I wonder if they've updated the name over in the States too? Either way I hope you find it! And thanks for pointing this out - I am CONSTANTLY on a quest to find a high spf that A) isn't greasy (i have oily skin) B) doesn't make me break out all over my face! & C) doesn't completely white out my face. I usually use a dermalogica one but it makes me look like a ghost.